For now, everything sits on shelves, as soon as the rails pop up for cheap they will be migrated over. The Juniper Ex4200 will not be daily use, it sounds like a helicopter taking off, but I will be the king of the next lanparty thanks to it - after I get my JCNA. samsonlonghair wrote: Just for funsies, look into rack-mountable audio hardware too. 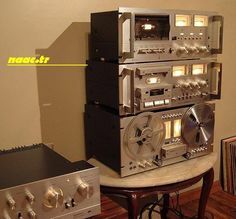 There are some neat receivers, amplifiers, reel-to-reel players, and audio processors that can be mounted. 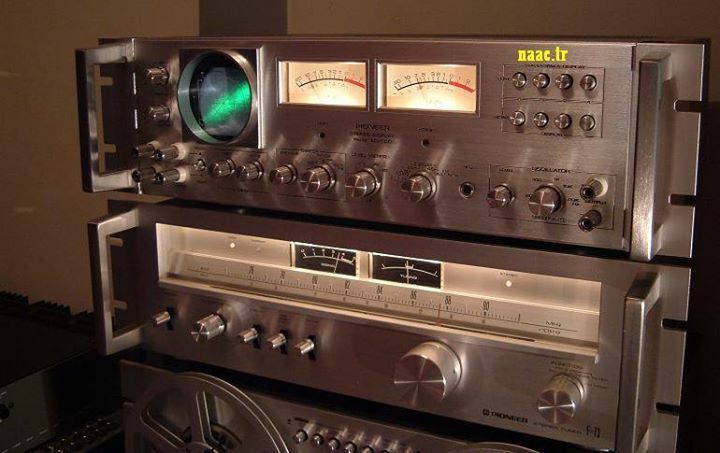 Also, there are neat old tape players with analog VUs by makers like TASCAM. I did find a 3u Nixie tube clock, but a receiver would be a handy thing to have in that corner of the room. Ooooooooh Nixie tubes How cool. Rumor has it that all the Nixie tubes for sale today are new old stock manufactured in the Soviet Union in the 1950s. Don't know how true that is, but it's one of those things one hears on the internet. Check out the pioneer F-73 radio tuner just for pure beauty. Several years ago I co-ran a large fandom convention, specifically operations and boardgames. When you run a boardgaming section of a con, people give you things randomly. So I ended up with lots of peoples old copies of Monopoly and LIFE. I did end up getting a few titles with really neat artwork but terrible play. So for years I tried to figure out a good way to display them. I had a spare 6ft 1x12, and was going to create frames for each game in a way that I was not damaging the gamebox but decided on a simple shelf instead. I will be building a second, 4ft one, then three smaller ones for the videogame boardgames down by the cabs (Zelda, Pacman, Qbert). This way if anyone who comes over wants to play or buy one of the titles on display, it is an easy to flip it out, and we get to see some great 50s-80s artwork. It also means I get can clear out that top of those shelves. This is easily done with a tablesaw but can be done with a circular saw and a guide. Once again, you can never have too many clamps. A Voltron board game, how neat! That Spy vs Spy box looks cool too. I bought a board game at a yard sale two summers ago called, "Rodney Dangerfield's Game No Respect". I sat down in the kitchen with some friends and played exactly one game of No Respect. It's pretty awful, and the gameplay has practically nothing to do with Rodney Dangerfield. It's not funny like Apples to Apples either; it's not even a word game. I still love that silly box art. I mean, who could pass that up for one dollar at a yard sale, really? If that's the Transformers board game up there, I used to have it. Was actually a fairly fun romp. Seeing lots of board games makes me nostalgic and sad. I used to be a HUGE board game player. I had an entire closet full of board games (common and esoteric). And I'd play them all the time with people. But over the years people moved away, or got too busy, or we just lost touch... you know how it goes. I eventually ran out of people who were interested in playing say Dragon Strike or Shadowrun: DMZ or BattleTech, or even Pictionary for that matter. So I slowly sold off my board games, or donated them, until I finally had none left. (Other than Dark Tower, but that's because it's fun even solo.) I wish I still had people open minded and cool enough in my life to play bad assed board games all night. Samson, gotta love that box art. It does no good hidden away, put it on display. Its like the A-team box youll see in a second. Exhuminator, I feel you on that. Like I have stated previously, I use to have two or three weekly game groups, and now its just my wife and I most of the time. I have paired down alot of my games, I think I am under 100 now. We try to play atleast one game a week, other than nightly games of Carroms. Right now we are racing through Formula De, but once we move the Carrom board downstairs (waiting on folding legs for it) its back to Heroscape/Planeswalker. My local friends will play some games, but they get hyper focused on one. So some play Xwing, and travel to tournaments all over the area. But they wont play any other game but Xwing. This is actually the second batch of games to go up, several of the first batch have already sold - Casper the Friendly Ghost and a copy of Dungeon Dice. You can also see my newest pickup in the bottom left there, Apple 2e with duo drive, super card, and standard joystick. The spacebar is a bit iffy, but thats not uncommon. It only took a little cleaning and one solder joint fix to get up and running. And yes, that is the Vectrex on top of it, no they do not connect, just needed the space. Sadly Prince of Persia, Mario Bros, and Ultima IV are all dead. - Garden is doing gangbusters: Ive got six quart jars of pickles for the winter so far, and soon will have a dozen pints of tomato sauce and a dozen of puree. Not to mention the peppers or spices. Currently making Peppermint and Spearmint extracts, both alcoholic and non. - Fixed our 7ft sickle mower at the farm, and my wife used it to cut the creek banks, in the creek banks I found pounds of spear, chocolate, and peppermint. Literal pounds. I pulled full trashbag of the plants out and plucked off enough leaves to fill a grocery bag, and that was not even a dent in it. - Rebuilt the foam cutter and used it to cut up a bunch of pink foam for Heroscape last night. Making cliff risers so the board is taller without costing an arm and a leg in heroscape terrain, or time to build. I'm jealous of that candy cab. Years of searching I finally gave up, then boom, right in my backyard. Right now it is has a PC rigged up in it with a 27inch LCD, but eventually I will have a new CRT for it. The stand is 2x4s and 1/4 inch plywood, painted Rustoleum by the quart White. It raises it to be even with the old record player stand that still holds records, and soon wine/scotch. Now back to fixing the lawnmower.